Who inspires me: My mother, who always taught me to give back. Motto: Head down and power on. Starting a charity was certainly not Andrea’s first intention. He’d only visited Pakistan in the first place seeking to photograph polo players who tore across mountainous terrain on their horses. 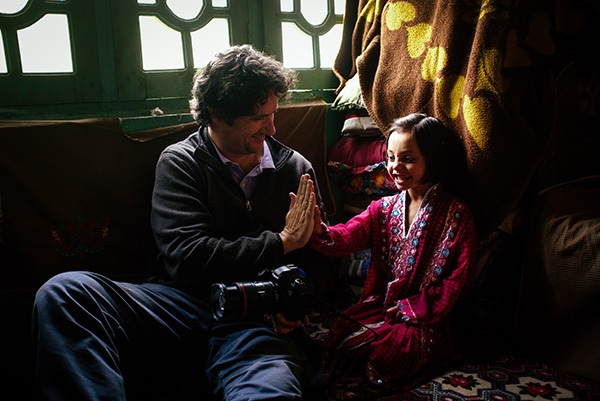 Andrea had hired himself a tour operator, Saeed Khan, to photograph the mountain polo games and went on to visit Saeed’s home village. He also met Saeed’s brother’s wife who was principal at the local school. Andrea visited the school and was shocked at its condition. He’d seen poverty in Africa but this was something else. 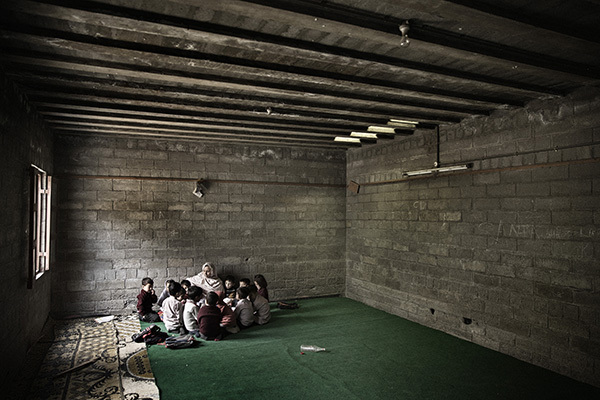 Students sat on the floor in a single, bare concrete room. Always keen to contribute to the places he travelled, Andrea asked what the school needed most. Books and pencils came the reply. He visited the nearby bazaar and bought enough pencils and books for 70 kids. The following year, with his newborn daughter growing fast, Andrea consider what more he could do for the Pakistani kids. He called Saeed and asked how best he could help. Saeed did the ground work and suggested supplying desks for three schools without furniture. Andrea rallied his friends and contacts and held a charity dinner in Sydney, raising AU$6000 – enough to buy 75 pairs of desks and benches, and also fix a leaking roof, broken windows, walls, doors and more. Andrea returned to Pakistan with the funds to ensure the money was spent as expected. He watched the kids unload the new furniture from the trucks in excitement. He met the elders who shuffled towards him clasping his hands with wizened fingers as they thanked him for the support. And he felt immense satisfaction at seeing and photographing the students beaming bright smiles from behind their new desks. But Andrea also saw how much more could be done at these schools. Water. Bathrooms. Power. Equipment. Teacher training. The needs were immense. And there were so many other schools which needed support. So many kids who couldn’t even afford to attend school. Andrea knew this was not a one-off donation. Every year since, Andrea has returned to Pakistan to help schools through his Australian charity My First School Pakistan, founded in 2011. 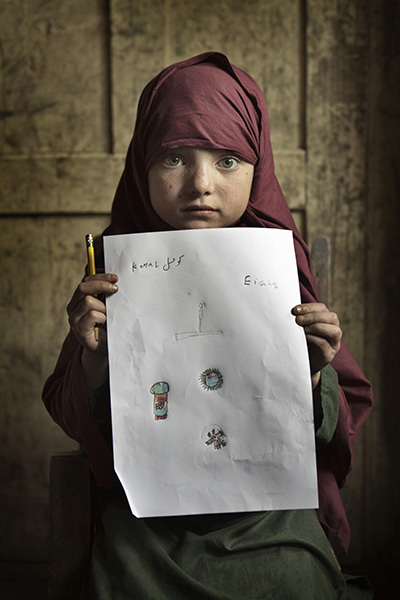 He photographs the kids and the communities, exhibiting the photos and selling prints to raise money for the cause. He also fundraises in other ways, and takes donations through the charity’s website. 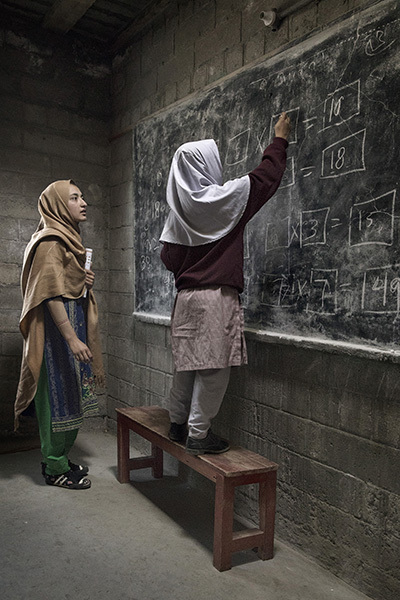 As a result, My First School Pakistan has now built nine classrooms in three existing schools. It has offered sponsorship for seven children for five years, and it’s paying the salary of three teachers. It is also sending 24 teachers to do a one-month teaching course and paid for local carpenters to build about 180 desks and accompanying benches. It has also helped to fix roofs, walls, windows and containment walls. And it has installed water tanks to provide running water. Yet Andrea dreams of the charity achieving so much more. He remembers sitting on the verandah of Saeed’s house watching the shifting light dance across the 8000-metre-high mountain before them and hearing Saeed say, “one day that hill will be ours.” “What do you mean?” Andrea asked. 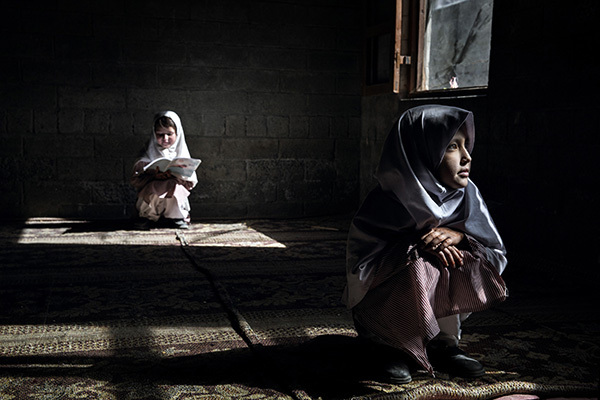 “My dream is to build a secondary school there,” Saeed said. Any child in the area who wishes to go to secondary school must leave the village. 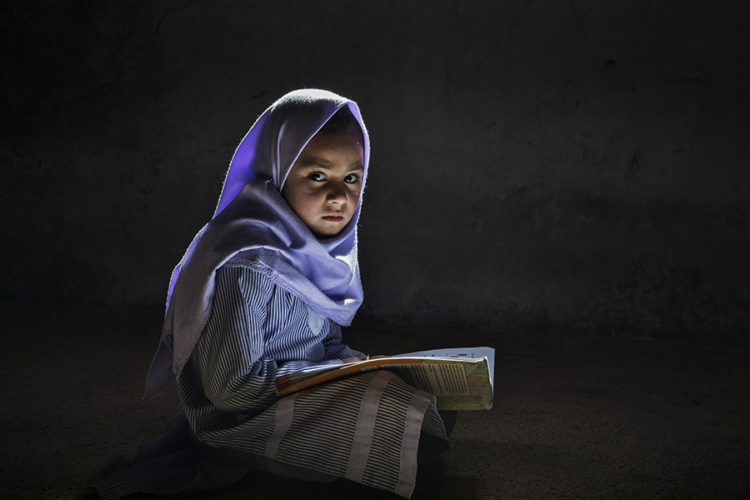 So most children drop out of schooling, especially the girls. A secondary school would transform these kids’ lives for the long term. Of all the students who’ve captured his heart in Pakistan, there’s one girl who stands out for Andrea. Andrea was photographing a group of kids when this one child poked out her head from the crowd. Andrea’s photographer instincts kicked in. 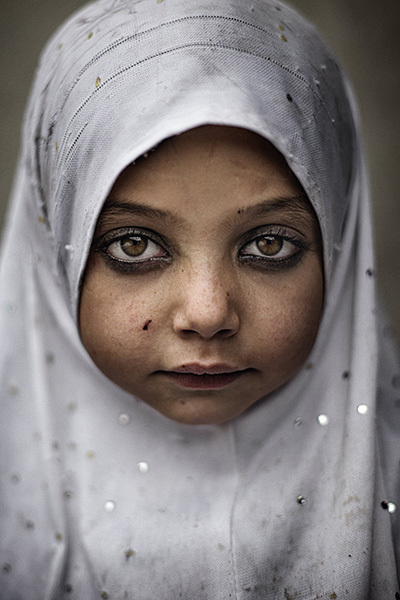 Captivated by her kohl-rimmed eyes, he asked that she be among the children he photographed individually. He had the chance to snap five or six frames before she disappeared into the throng of children. But when Andrea checked the photos he realised the low light had thwarted his efforts to capture the depth of emotion in her eyes. But by now the girl was gone. Inquiring after her whereabouts, Andrea couldn’t track her down. It wasn’t until later that she returned, having heard the photographer was seeking her out. After another photo shoot Andrea learned that the girl was one of seven children My First School had sponsored. The photos he shot of her that day would go on to win many awards in America, UK and Germany. More difficult still is the immensity of the need. Andrea remembers visiting one particularly poor school. Dirt ingrained every surface. He leaned against a wall and a brick fell out. The class of 25 kindergarten kids sat on a tablecloth on the floor. 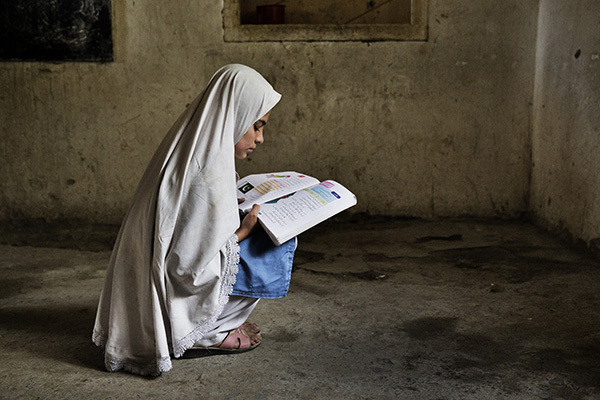 You can find out more about My First School Pakistan, see more of Andrea’s stunning photography and make a donation by visiting the website http://www.my-first-school.org/. Andrea says a $20 donation is enough to buy 50 books. Another wonderful story from a troubled part of the world! Such a contrast to the self-satisfaction ruling western society. Thanks so much for your comment. It’s so inspiring to see people making a real difference. And it puts our western ‘problems’ into perspective.